This week the Horror Duo keep the rip-off ball rolling. This time with a pair of Exorcist impersonators. Forest shares his thoughts on a failing attempt to repackage the Mario Bava film, Lisa and the Devil, and present it as The House of Exorcism. Cory endures Beyond the Door, a film that didn't exploit The Exorcist alone, but also Rosemary's Baby and The Amityville Horror. They also chat about Victory Crowley and the films secret production and surprise release, the Netflix original film Death Note, and what is to come from an all female version of Lord of the Flies. All this and Forest explores the world of England Exchange...a dating simulator..? For more Slaughter Film news and reviews, as well as show notes and special events, make sure to visit our website; SlaughterFilm.com. 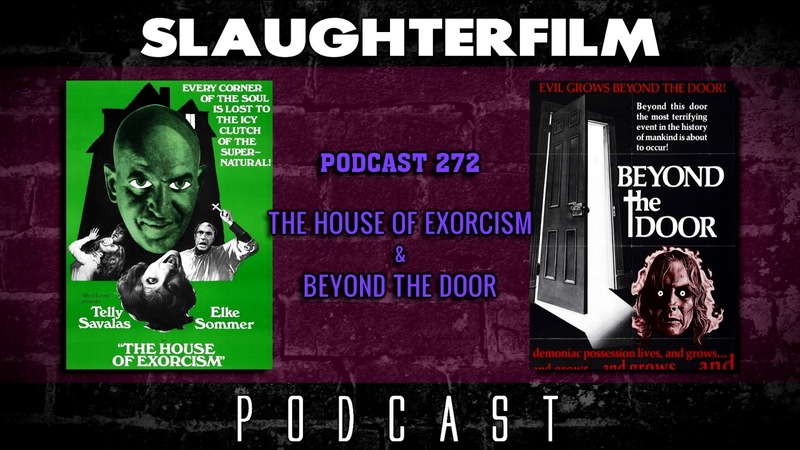 32:55 - "The House of Exorcism"
48:24 - "Beyond the Door"